Center Diamond Details: 1 GIA Certified ascher cut diamond at the center,of K color and VS1 clarity, weighing 3.08 carats total. 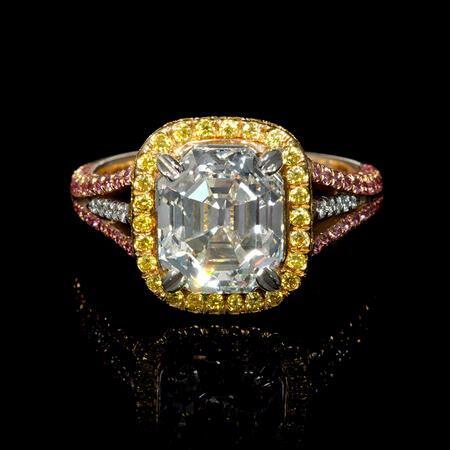 Diamond Details:18 round brilliant cut white diamonds, of F color, VS2 clarity, weighing .08 carat total, 62 fancy yellow diamonds, weighing .29 carat total and 124 round cut pink diamonds, weighing .46 carat total. 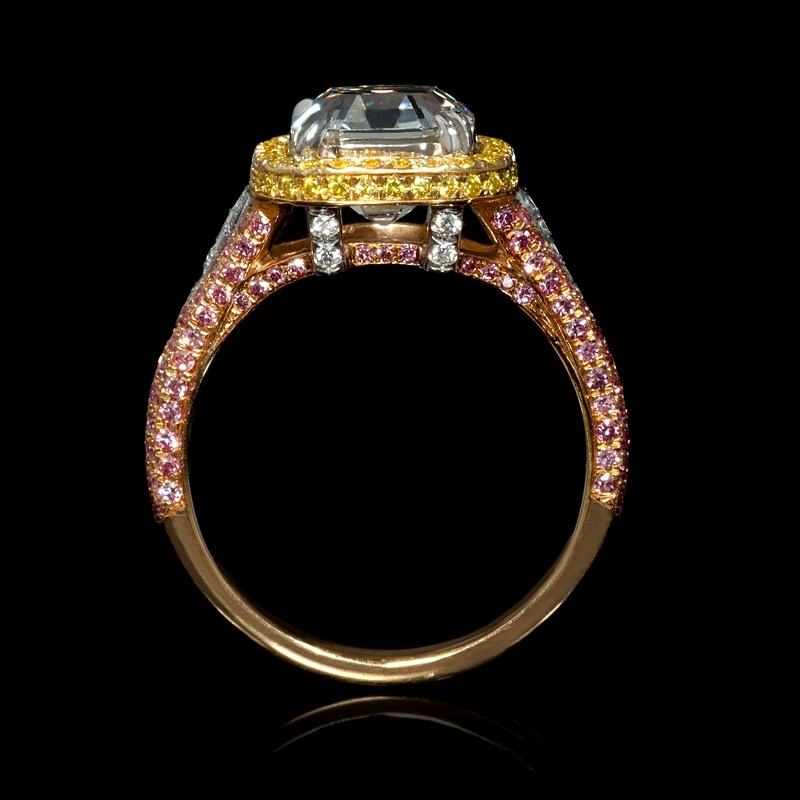 Ring Details:Platinum and 18k rose and yellow gold halo design. Measurements: Size 6.25 and 12mm wide. This ring is adjustable to most finger sizes, some of which require 4-6 weeks for delivery. 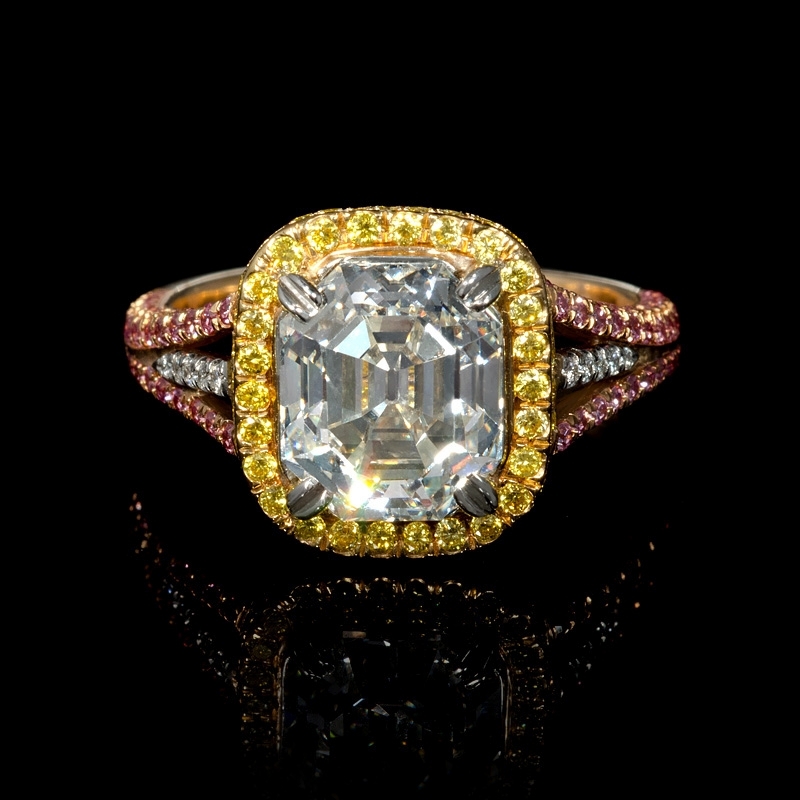 This fantastic platinum and 18k rose and yellow gold engagement ring, contains 1 GIA certified ascher cut diamond at the center, of K color and VS1 clarity, weighing 3.08 carats, surrounded by 124 round brilliant cut pink diamonds, weighing .46 carat, 62 fancy yellow diamonds, weighing .29 catat total and 18 round brilliant cut white diamonds, of F color, VS2 clarity, weighing .29 carats total. The ring is a size 6.25 and is 12mm at the widest point. 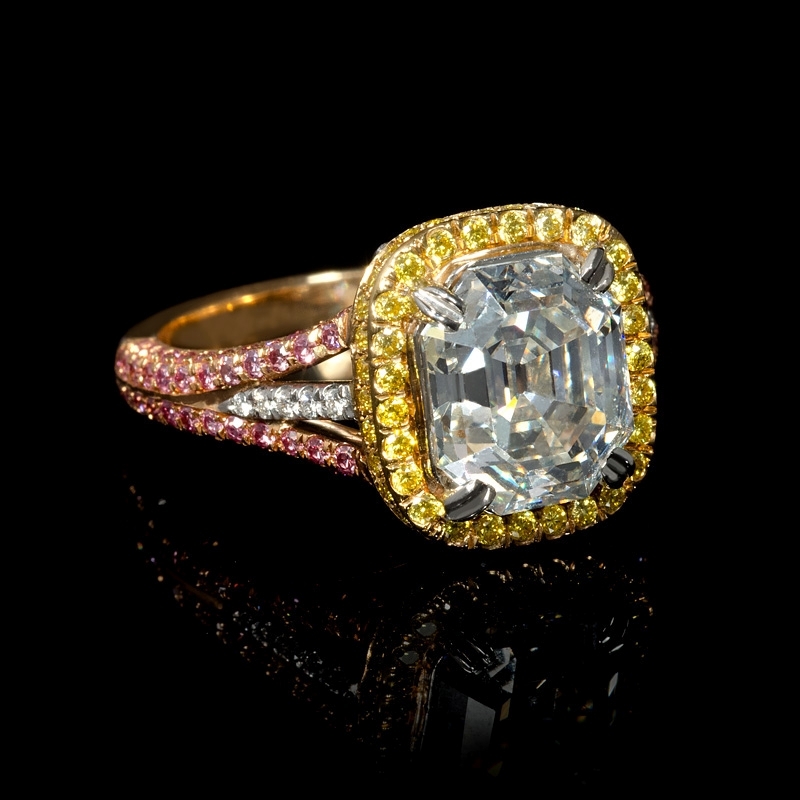 This ring comes with a GIA certificate and store appraisal completed by GIA gemologist.